We all know that most celebrity marriages do not last, but we can be sure of one thing: stunning bridal gowns. She walked down the aisle in a bridal gown made for royalty. The gown was created by Helen Rose, a costume designer for MGM. 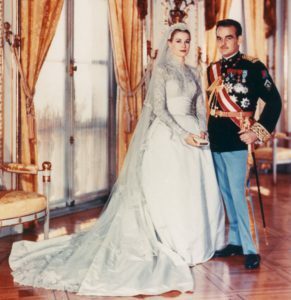 Grace wore the dress with a gorgeous topper made of 90 yards of tulle.